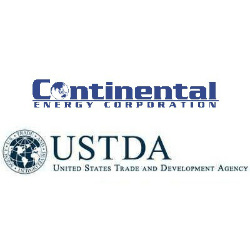 International energy investment company, Continental Energy Corporation, has announced that they have been awarded a USD 600,000 grant from the United States Trade Development Agency (USTDA) to support the development of two 10 Megawatt run-of-river hydropower facilities by their subsidiary, Ruaha River Power Company Limited. Money from the grant will be used to fund a feasibility study to evaluate technical requirements of the proposed facilities and make recommendations on a uniform plant design, layout, and equipment configuration. The hydropower facilities are expected to supply power to the national grid and to villages in Tanzania’s Lukosi River basin region that are currently off-grid and, according to Richard McAdoo, Chief Executive of Continental, the new template will be used in the design of similar hydropower projects around the world. In addition to the hydropower projects that are being supported by the USTDA grant, Ruaha Power is also in the process of developing a 2 MW Mini-Grid using grant funding from the Rural Energy Agency’s Tanzania Electricity Development Program, as well as an additional 300 kW Mini-Grid development in Malolo, Tanzania.